Another wee treat for y’all. 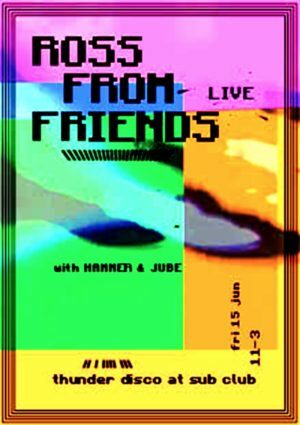 We’re excited to announce that the high-powered airy but percussive jaunt trio Ross From Friends will be making their LIVE debut at the Sub Club this summer alongside Hammer & Jubé. 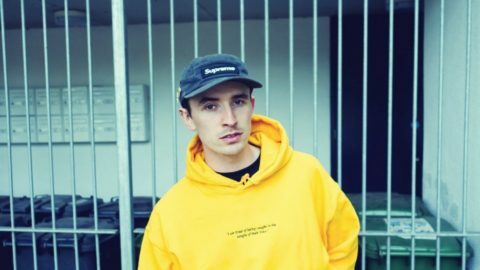 Making waves with recently being signed to Flying Lotus’s prestigious Brainfeeder label and live sessions on BBC Radio 1. Inspiration for the Ross From Friends spitfire sound comes from all corners of the musical milieu. From early experimental music to hip-hop sampling – 80s Italo and Hi-NRG helps to make up the comprehensive sound palette that Ross has the liberty of drawing from. With their live set’s dynamic blissful lo-fi sunny house – its a perfect vibe for a summer in Glasgow and we can’t wait to showcase it through the Sub Club sound system after an all-dayer in yer local outdoor haunt.